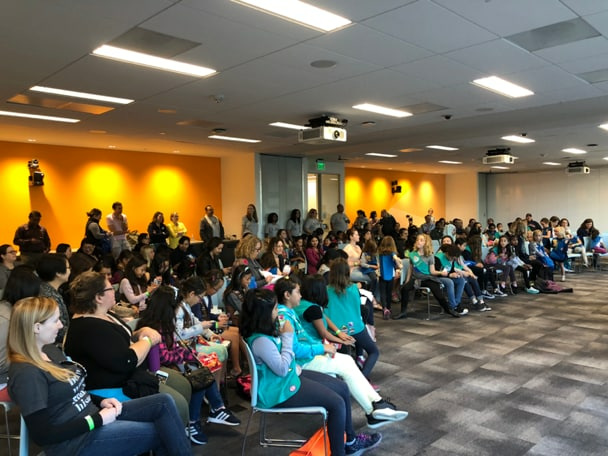 On Saturday November 3rd, we had the honor of hosting more than 225 Girl Scouts at our Santa Clara HQ for ‘Cybersecurity Education Day.’ The event, produced in partnership with Girl Scouts of Northern California, was one of six planned this fall around the country to kick-off the Palo Alto Networks Cybersecurity Badge curriculum co-created with Girl Scouts of the USA. Our collaboration with Girls Scouts USA has been in the works for over a year, but Saturday’s event was the first time that we got to see the curriculum in action. Three 90-minute sessions provided Daisy, Brownie, and Junior troops from around the Bay Area an opportunity to mix, meet, learn, and share with one another. Girls, ranging from kindergarteners to fifth graders, were full of energy and curiosity. They participated in ice breakers and hands-on activities that delivered critical messages about the importance of online safety and protecting important data stored online. By participating, each Girl Scout earned a ‘Cyber Hero Patch’ and met initial steps in earning a Cybersecurity Badge featuring content from our programming with GSUSA. I had the pleasure of participating in the activities with the girls throughout the day and leading the open and closing general sessions with Girl Scouts of Northern California CEO Marina Park. Together, we reminded the girls about the importance of cybersecurity principles and encouraged them to join us on our mission to protect our way of life in the digital age. Marina reinforced the Girl Scouts principle of G.I.R.L. and what it stands for: ‘Go-getter, Innovator, Risk-taker, and Leader. The girls were so excited to learn more about cybersecurity and I was impressed with how quickly they picked up the new concepts they learned during their activities. 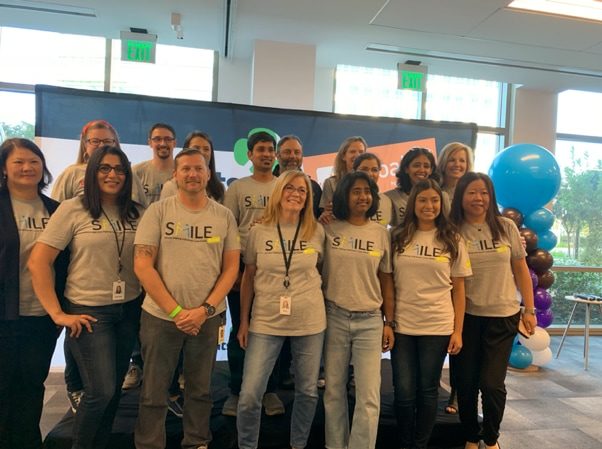 I was thrilled that our president at Palo Alto Networks, Amit Singh, also made time to attend the event to talk with the girls, learn about their activities, and look at many of the badges the girls had earned. Social impact partnerships like this are extremely rewarding and align with our mission to protect our way of life in the digital age. 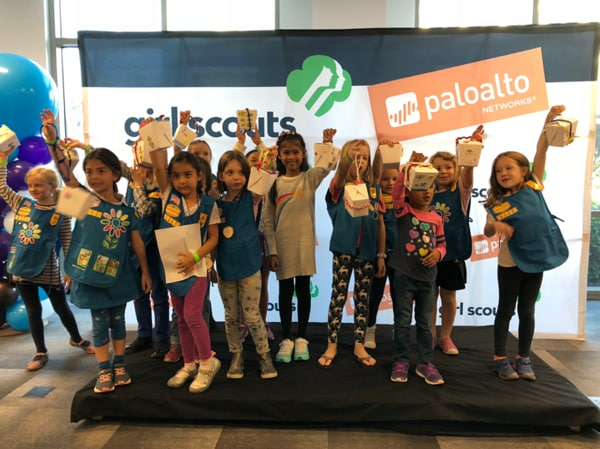 This collaboration with Girl Scouts will inspire more girls to pursue careers in cybersecurity and address the current gender disparity in the field. By introducing girls at a young age to online safety and cybersecurity best practices, we show them that they can problem solve, lead, and do good for the world by protecting people online from hackers who seek to do harm. Innovation and growth in cybersecurity, and STEM at large, won’t be possible unless girls are part of the equation. We are proud to be invested in this initiative and plan to work with Girl Scouts for the long haul. Read here for more information about our collaboration with Girl Scouts USA. Thrilled to see the partnership move for ‘development’ to ‘deployment’. I’m still smiling from the fun engagement with so many local Girl Scouts. I have to give a shout out to the 40 volunteers who in aggregate invested 200 hours of their Saturday to help create this unique experience for these Cyber Heroes! Wow! This is so cool! I’m a leader of a cadette troop in the East Bay. I wish I’d known about this! I’m very impressed!